We’re proud to be a member of the Global Alliance for Banking on Values (GABV) which brings together like-minded banks, building societies and other financial mutuals to raise awareness and campaign for values-driven banking. Today we’re supporting #BankingOnValues day (20 October 2016) which is part of the GABV’s month long #BankingOnValues initiative that calls on us all to get involved in celebrating the growing, global, value-based banking movement. 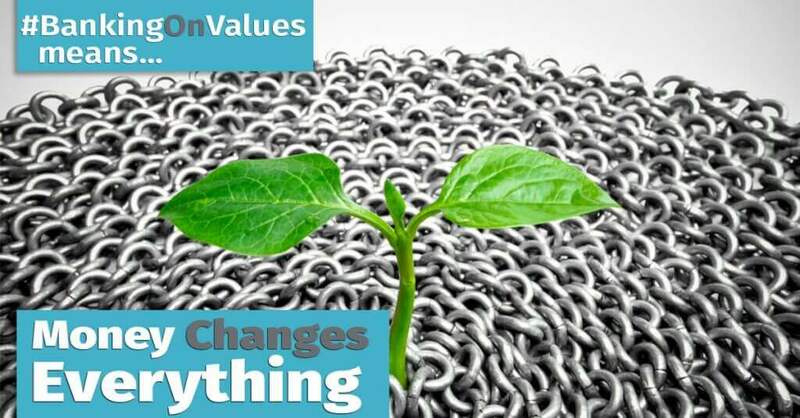 #BankingOnValues is about about creating positive change in the world’s banking system, and driving positive economic, social and environmental impact by influencing how banks, building societies and other financial services firms serve human needs and the real economy.